I was excited to find and use this State of the Union Bingo! It is free from the Constitution Center. 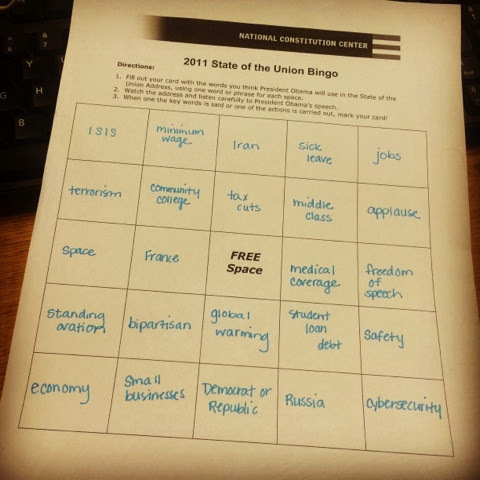 Students just fill out the card with words they think the President will use in his State of the Union Address. Then as they watch it, they cross out the words they hear! They can, of course, watch it on TV. OR there are multiple sites (and youtube) that have the coverage available online. We then asked the students to write a reflection and had some great conversations today in class!